The world’s youngest billionaire was crowned in 2019. At age 21, Kylie Jenner and her business Kylie Cosmetics were included into this club. This rapid success reflects how powerful the “Instagram Generation” can be in shaping trends, particularly with respect to health and beauty. Jenner has 131 million followers on Instagram and her products have been tremendously successful with her raving fans. There are many other public figures who are using their profile, through social media, to promote brands. It is difficult to overestimate the gravity and multiplier of this, given 50% of the world spend on average, 27 hours per week on a mobile phone. A large proportion of this time is on social media. At AIM, we try to identify businesses that are supported by long term structural growth trends like the “Instagram Generation” and we believe that the beauty sector is perfectly positioned to benefit from this. "I learned early that being a perfectionist and providing quality was the only way to do business". Despite the long and distinguished history and loyal customer base, EL has not become complacent. The management team is world class and earnings per share have compounded at an average of 21% each year, over the past decade. The business is a market leader in innovation and continues to roll out a range of initiatives, following substantial investment. Our analysis suggests that the economic moat and network effect that EL has developed over several decades, within a fiscally conservative structure, combined with emerging market growth, is a powerful combination. We believe the multiplier effect of such investment, combined with changing sales channels, marketing and distribution, presents a most compelling investment case, with margin expansion highly likely. We own shares and recently tested our thesis with senior management and remain constructively optimistic, primarily due to strong industry tailwinds, such as e-commerce and social media, as the next generation of consumers travel, engage and consume recognisable brands. Prestige beauty is growing at 2x the rate of mass beauty. EL’s end markets are entirely focused on “prestige” beauty. 600m people entering the middle class, adding $5 trillion in global spending power by 2028, an increase of 50%. China per capita spend on prestige beauty is $23 vs. $255 in the US and $276 in South Korea. Global travel is expected to increase at 7% CAGR to 2025. 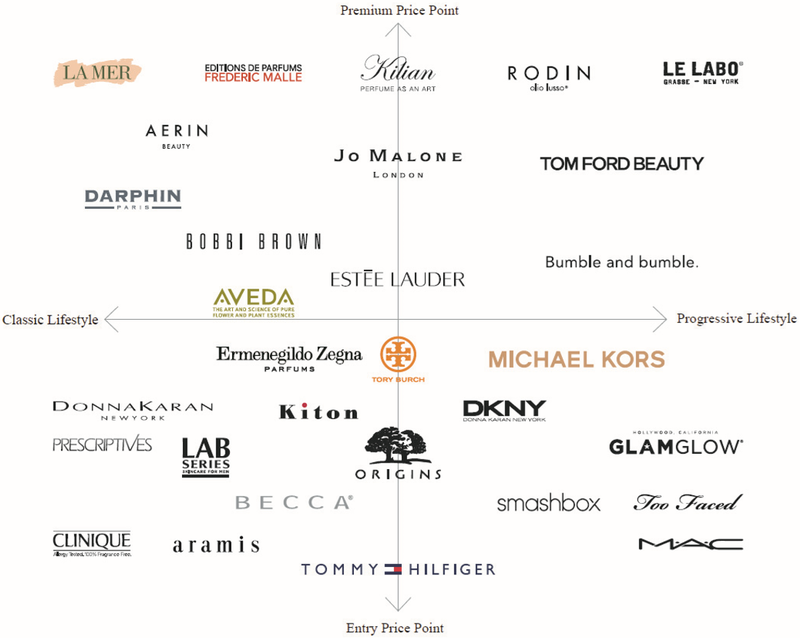 60% of prestige beauty shoppers purchase their first product at an airport. E-Commerce beauty sales are forecast to increase 50% over the next three years. EL operates e-commerce businesses in over 50 countries, attracting over 500m users. More than 300 “Brand.com” websites, providing 200k data points daily. A user spends an average of 10 minutes on these sites, equal to billions of dollars in media value. Represented by 60 brand boutiques on platforms such as TMall. The numbers illustrate how important this channel is for EL. Not only is customer engagement strong, but the margins from this segment are higher than group levels, as approximately half of the sales occur on captive sites, which eliminates the need to pay commissions to counterparties. Management recently suggested that EL’s top six markets, account for 50% of all online sales. This represents the network effect in leading markets. The e-commerce penetration will continue to be supported by emerging markets, as household incomes rise. Increased spending levels from a growing population of financially independent woman, higher engagement and spending from younger generations, are all positive tailwinds that EL will benefit from. Sales from emerging markets are expected to account for 50% of total beauty growth and China alone will be responsible for half of this growth. We estimate that there could be another 300-400 million people enter the Chinese middle class in the next decade, which will unlock huge spending power. Further, EL strategically brings new products to markets each year, which can drive volume and mix, depending on customer preferences. The demographics are favourable, with the average luxury consumer in China is 28 years old (vs. 40 in Europe and 45 in the US). Beyond China, EL is present in 15 countries and is the market leader in at least 10 of these. Within these markets and across the group, advertising is becoming more focused, which drives higher conversion rates and customer engagement. Total group advertising is $3bln, or 25% of sales, with 75% spent on digital. The company has used influencers across social media (YouTube & Instagram), to drive sales and gain customer insights. This is a competitive advantage that smaller peers are unable to rival. The strong operating performance of the business will likely translate to increased cash returns and continued reinvestment, or acquisitions. In the last decade, EPS growth has compounded at 21% per year, the dividend has increased 5x and stock has been bought back. Reinvestment into brands via acquisitions has yielded an average 21% ROIC. The business has very little debt. We expect margins to expand, excess cash to be returned to shareholders and forecast attractive total shareholder returns, in excess of the market. The stock is valued at 28x earnings, which is broadly in line with its 12 month average. From a risk management perspective, we are comfortable owning a world class, global leading business, with some of the best brands in the world, that expects to grow earnings by double digits, each year, for the next three years. We think these numbers and estimates may prove conservative, as the “Instagram Generation” drive trends at the most rapid rate in history, aided by e-commerce and the emerging middle class from developing countries.